AMD, formerly ATI, is one of two companies competing in the top tiers of performance and innovation. 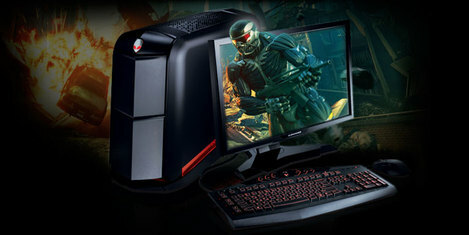 This competition bleeds benefits for Gamers everywhere, pushing high performance Graphics processing to new and unprecedented levels. Amd made huge strides with the 5000 series GPUs and finally led the pack, dominating all other cards on the market with their dual GPU technology. Considering how weak CrossfireX scaling was with most of the 5000 series cards, this was a great accomplishment. The 6000 series of graphics cards stepped up and finally matched Nvidia'a performance scaling with less power and greater efficiency than ever before. AMD was the first to break the DirectX 11 barrier, giving the gaming world some early insight as to what features such as Tessellation would mean for the future of PC gaming. And with the introduction with Eyefinity in the 5000 series cards, you can view this beautiful new feature on up to 6 monitors synchronized for a truly theatrical and realistic experience. One other feature set overlooked by most comes in the form of 3D technology introduced with the 6000 series of Graphics cards. 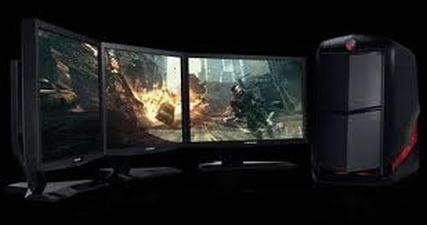 AMD HD3D Technology is supported by an advanced and open ecosystem that, in conjunction with specific AMD hardware and software technologies, enables 3D display capabilities for many PC applications and experiences. Every AMD card in the 6000 series from the HD 6770 to the HD 6990 has the same 3d capabilities that Nvidia offers. The rivalry between the two companies means that every gaming budget will have a great performing graphics option available. It's a great time to be a PC gamer! Nvidia has been making Dedicated graphics cards longer than half the PC gaming population has been gaming. They have spent years making reliable and stable GPUs keeping on the cutting edge of performance. They are one of only two companies competing for the top, pushing the limits of performance and innovation. Nvidia spent years on top until AMD bought out ATI and pushed performance into new dimensions for gaming. AMD, though struggling with performance scaling where Nvidia had excelled, did exceptionally well with their latest dual GPU cards, taking and holding the performance crown and top tier position where the GTX 295 once reigned. Nvidia has recently met this challenge with their latest in dual GPU technology, once again matching AMD's raw performance. I am very excited to see what the next generation of Graphics Processors will bring in terms of performance. The latest generation, designed with today's graphically demanding games in mind, exceeds what most were expecting in terms of performance and features. They may well be ahead of their time, and a high end card bought today, will still be high end in two years. They lead the pack in 3d technology and have some of the most stable driver sets ever offered in PC gaming. This is truly an accomplishment given the complexity of today's games. Now with performance equal to AMD's monster cards, the top will have to be shared until the next Generation, but with better drivers from the green side. I absolutely love both companies and own computers running on green fuel and red fuel alike. To truly be a fan of both sides gives you the experience and joy that fans of both brag about seperately...it almost feels like an unfair advantage.